Having expanded along both banks of the Creek, Dubai is divided into two parts – Deira on the northern side and Bur Dubai to the south, as well as the top tourist destination of Jumeirah. Abras, the traditional water taxis, are regularly used each day to cross people over to either side of the Creek. Each side has its share of fine mosques and busy souqs, public buildings, shopping malls, hotels, office towers, banks, hospitals, schools, apartments and villas. Dubai is blessed with golden sunshine and silvery beaches, world-class golf facilities and an upcoming Sports City. The old Bastakiya district with its narrow lanes and tall wind-towers gives a tantalizing glimpse of old Dubai. Immediately to the east of Al Fahidi Fort is the largest concentration of traditional courtyard houses with windtowers. In the past, the city was famous for a mass of wind towers which lined the Creek on either side. These were not merely decorative; they were the only means of cooling houses in the days before electricity. Year 1799 marked the building of Al Fahidi Fort. It was built against foreign invasion. This splendid fort is now Dubai Museum. Therefore, allowing visitors to peep into the rich culture and heritage of Dubai. The entrance of Dubai Museum is marked with a great collection of old maps exhibiting urban expansion of Dubai in the year 1960 to 1980. Dubai Museum offers a unique trip to desert life, traditional Arabian homes, mosques, fishing, pearl diving and trade. Major highlights of Dubai Museum are artifacts from excavated graves, musical instruments. Deadly weapons also form the major part of Dubai Museum, such as swords, spears, bows, arrows, shields, pistols and axes. So, what are you waiting for? Get ready for an exciting trip to Dubai Museum and make your Dubai tour a remarkable experience! Shaikh Saeed was the grandfather of the present ruler and his house has been restored as a museum. Dating from the late 1800s, Sheikh Saeed’s House was built in a commanding position near the sea so the Ruler could observe shipping activity from the balconies. With its wind-towers and layers of rooms built around a central courtyard, it is a fine example of regional architecture. An ambitious restoration project has returned the house to its former glory and makes it a showcase for the history and development of Dubai. Sheikh Saeed’s house can be visited as part of the Big Bus Company’s tour of Dubai. The ticket price of Dhs 75 includes the entrance to Sheikh Saeed’s House and Dubai museum as well. This is an impressive landmark, a five star hotel (unofficially known as the worlds only seven star hotel) which is built on an artificial island, with a sail-shaped build reaching out at 321m. It is certainly an extraordinary building with superb interior decor, including a Skyview bar with amazing views. This is one of the most important archeological sites in the UAE where pieces were found dating back from the 6th Century AD. Remains from the site link it to the 3rd-6th centuries AD when the Persian Sassanid Empire dominated, and the Umayyad Dynasty in the 7th century when Islam arrived in the Gulf. This mosque stands at the northern end of Jemeirah Beach Road. It is one of the most beautiful and fine examples of modern Islamic architecture. The beauty of the mosque, the city’s largest, is seen at its very best particularly when floodlit after sundown. The mosque is one of the most visited and photographed sights. Tours are at 10am every Sunday and Thursday mornings. For tour information, contact the Sheikh Mohammed Centre for Cultural Understanding, which is open 8am – 3pm, Sat-Wed. This is certainly something for the children to enjoy. The waterpark includes many exciting rides for all ages which are based on the Legend of Arabian adventurer, Juha and his friend Sinbad. The waterpark also includes the popular almost free-fall ride, Jumeirah Sceirah. This was Dubai’s first school which was established in 1912. These semiformal schools were set up by Sheikhs which paid for the poor students. The buildings architecture and detail is extremely admirable. Year 1870 marked the foundation of Burj Nahar. Three watch towers guard this beautiful city. Burj Nahar is one of the three-watch towers, positioned in Deira. Picturesque gardens and exotic surroundings provide the perfect backdrop for photographers and tourists. People from all over the world come to visit this magnificent and beautiful tower. Having been docked at the Creek since the 1830’s, these wooden sailing vessels were used in the Indian Ocean and Arabic Sea. Dhow sailors work very hard, trading with nearby countries, re-exporting many products such as electrical goods which have flown in from China, Singapore and South Korea. This is a wealthy pearl merchants residence. Here visitors are offered chick-peas and tea, a traditional Emirati snack. The house is built like an old bastakiya building, built from coral and gypsum. The staff are very friendly and more than happy to carry out tours around the rooms which all look out on to the central courtyard. The Deira Covered Souk has more of an Indian feel than an Arabic one, with folks hawking textiles, spices, kitchen wares, clothes and henna. It is a perfect place for a housewife to feel at home! The aromas, the sights and the flavours of this place are quite intoxicating!!! The narrow lanes of the spice souk are scented with cloves, cardamom, cinnamon, incense, dried fruit and nuts. Imported from all over the Middle East, they are sold straight out of open sacks that surround the shop keepers. Dubai boasts one of the largest retail gold markets in the world, selling everything from ingots to intricately worked jewellery at bargain prices. The street-front stores side alleys of smaller shops with glittering show windows. This town is situated in the foothills of the majestic Hajar Mountains. The hatta Fort hotel is idyllic; overlooking the stunning mountainous views and is a perfect weekend get-away from the hectic city of Dubai. The Hatta Rock Pools are the main attraction in the area and are located 20km from Hatta. The crystal clear pools are made up of cracks in the rocks which have developed along the riverbeds and are safe to swim in. The Heritage Village offers a great example of how life was in Hatta before its modernisation, with its traditional fort, mud houses and stone buildings. In this village you can visit the famous Hatta House which gives you an idea of how homes were designed just a couple of decades ago. From Jurassic Park to Hatta in one leap, Larger than life: The 30 metre long Dinosaur dwarfed by the Hatta Mountains. The stairs under its tail will lead to a room built in its stomach where replics of the stone Age are kept. A white prancing horse adorns a hill on top at the farm. Visitors to the farm are greeted by a cannon. The driveway, internal roads and walkways are made of stone with pictures created from different coloured stones. Dubai’s architectural marvels couldn’t get better than this. 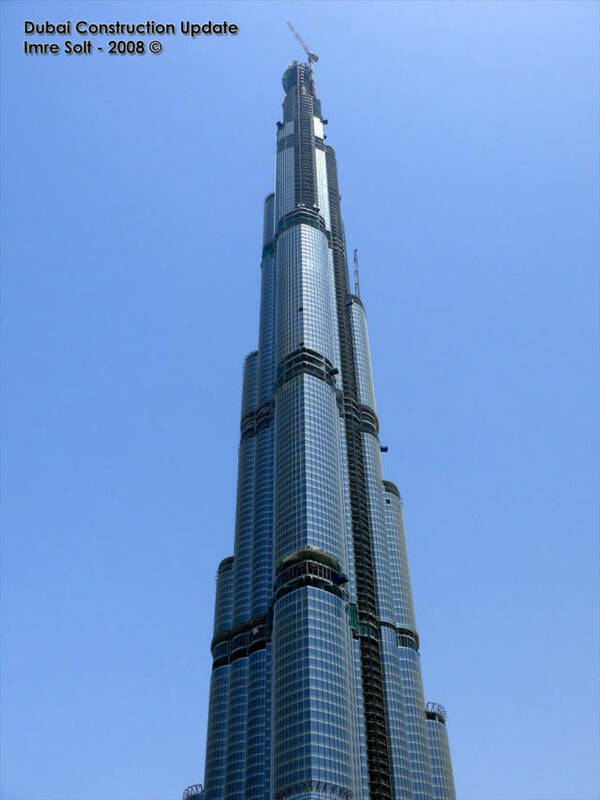 Burj Khalifa – the tallest building in the world identifies Dubai as the centerpiece of tourist attractions found nowhere in the world. Located in Downtown Dubai, the pyramid-shaped skyscraper is home to the prestigious Armani Hotel and its 900 residences will be occupied by only few of the élite. Even the corporate offices open doors to entrepreneurs known to have a long business history. 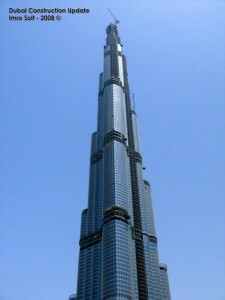 Some other interesting facts about the Burj Khalifa includes its height at 828 m, The Observation Deck on the level 124 that provides an unobstructed view of the Dubai city and The Park; 11 hectares of living greenery and an entry point to the building. Currently under construction, Hydropolis Hotel will be Dubai’s first luxury underwater hotel. Measuring the size of London’s Hyde Park, the hotel structure is divided into three parts wherein guests will be welcomed on the “land station, transported through the “connecting tunnel” to the actual hotel and the 220 suites where they will reside during their stay. Its one of the rare marine architectures where visitors get to stay and enjoy all the leisure activities underwater, that was possible only on land until now. Atlantis Resort and Hotel stationed on the crescent of Palm Jumeirah is luxury and happiness personified. Be it families, couples or single travelers, there’s something for everyone at the Atlantis Resort. Suites and room give you the feeling of heaven on earth, as each need is take care of personally. Even kids have a lot of fun at the Marine and Water Park with umpteen activities to heighten their feelings of fun and happiness. Dining, Shopping, Nightclub, Pools, Beaches, Fitness Center, Business Conference room; you name it and its offered to you at the Atlantis, just like Aladdin’s Genie. 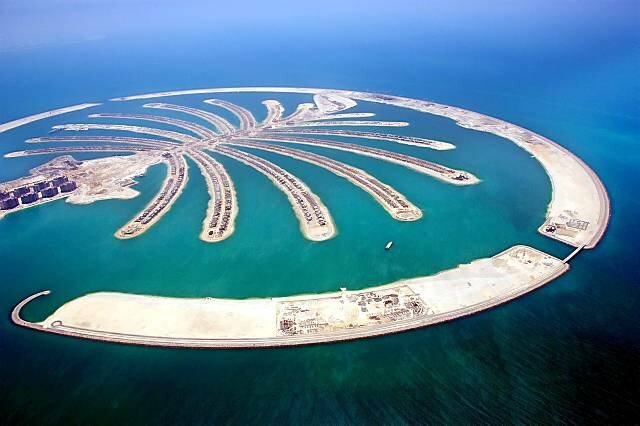 The World Islands – Dubai is a set of artificial islands created by man to highlight his standard of luxury. The World Islands are unique because such kind of man-made islands can nowhere be found in the world leading to a new rise and expansion in real estate developments. Shaped into different continents and countries, one can develop an individual island into an epitome of personal or corporate luxury.